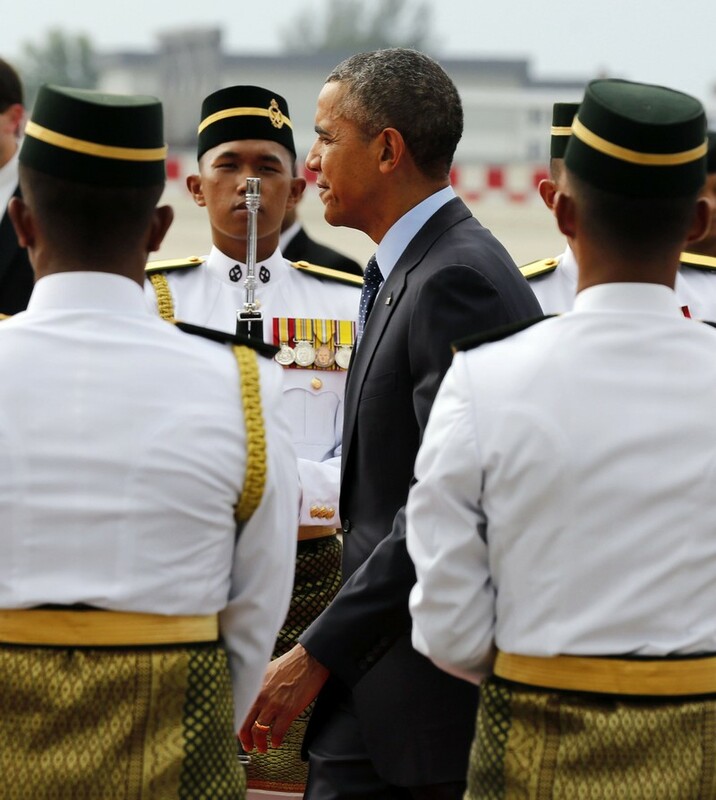 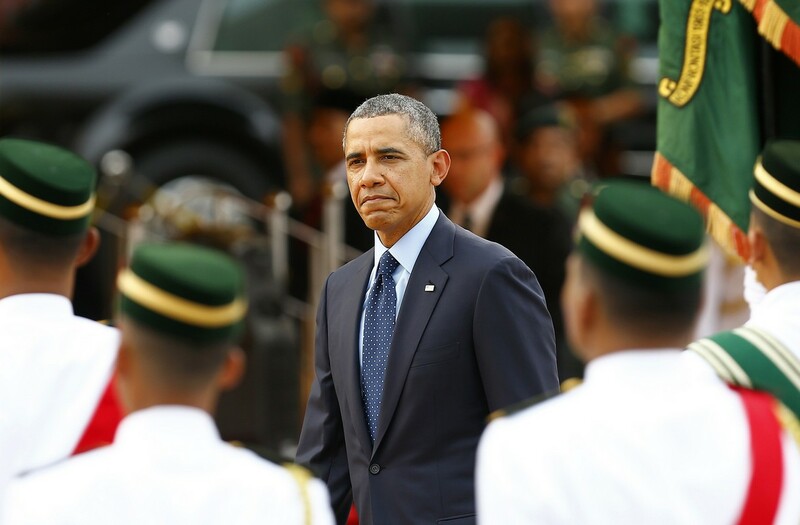 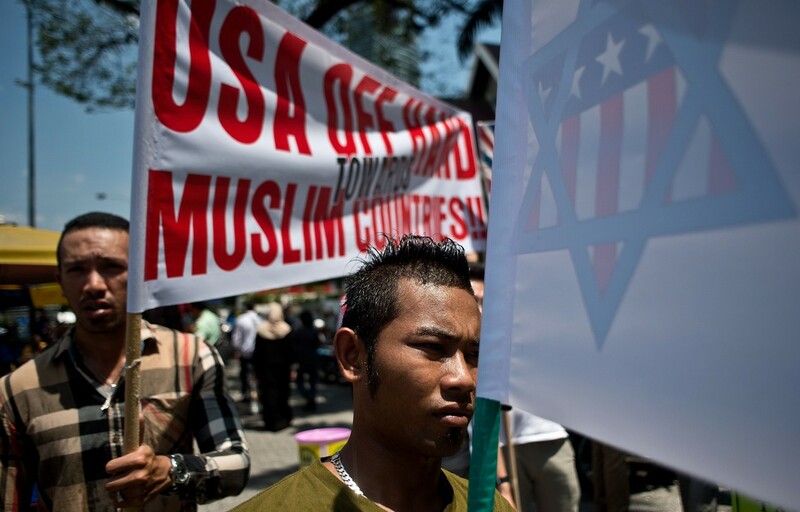 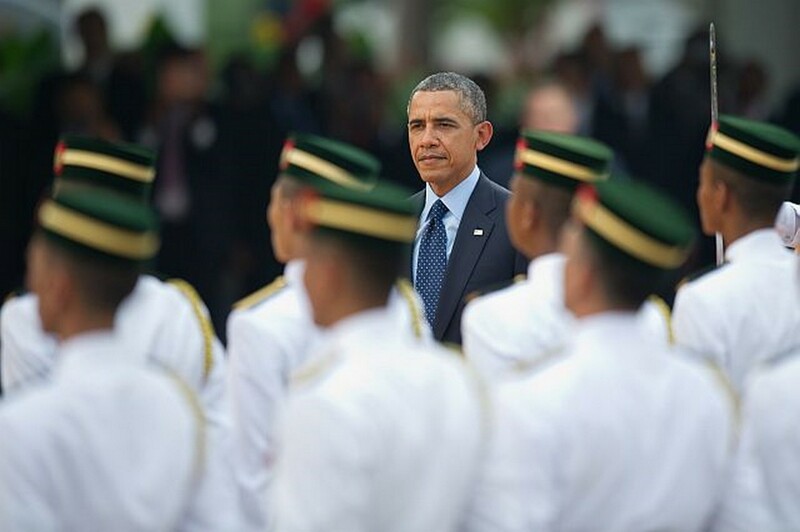 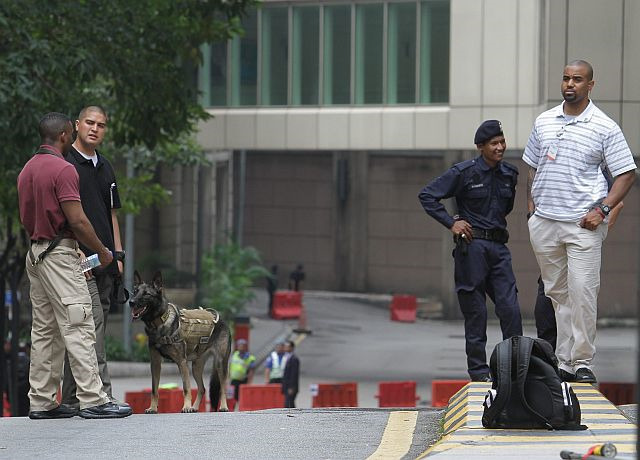 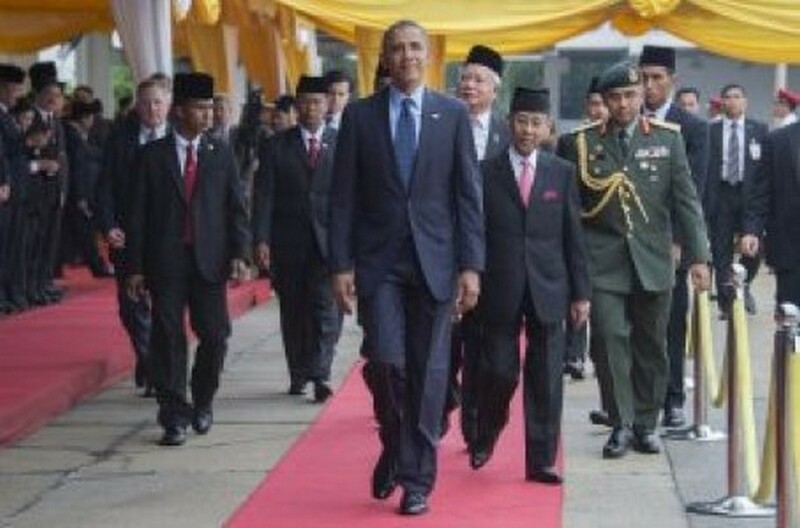 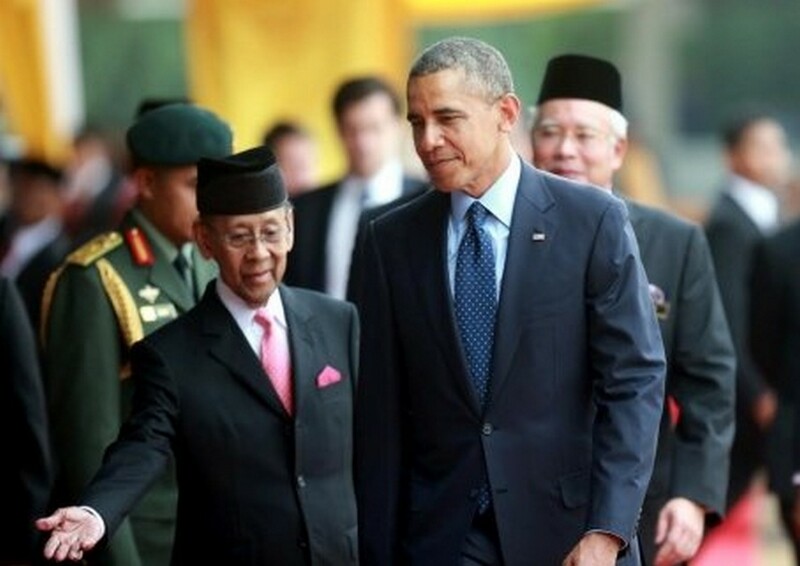 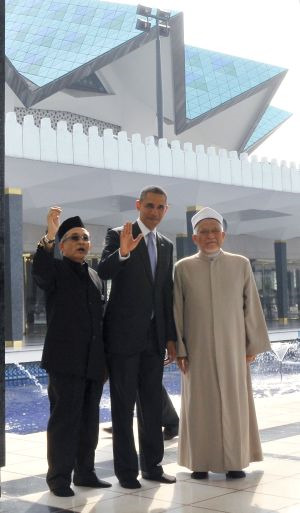 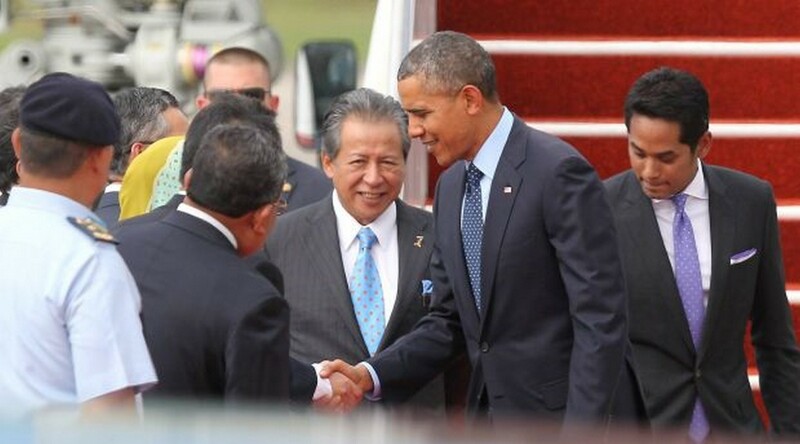 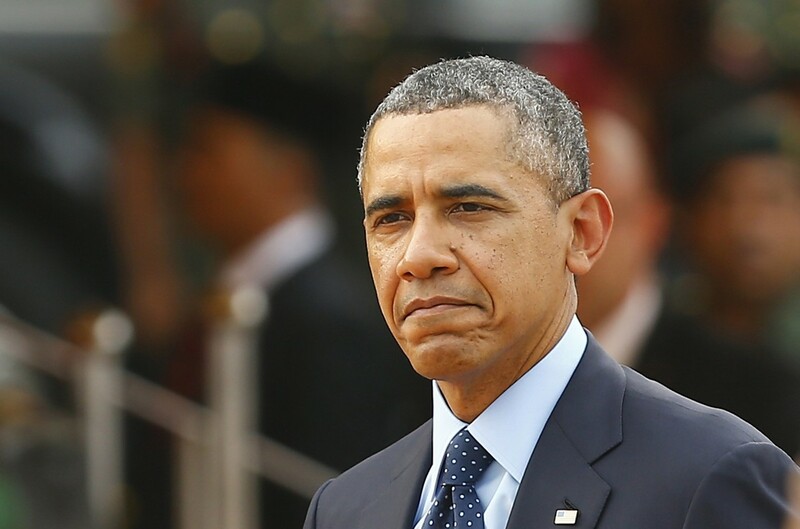 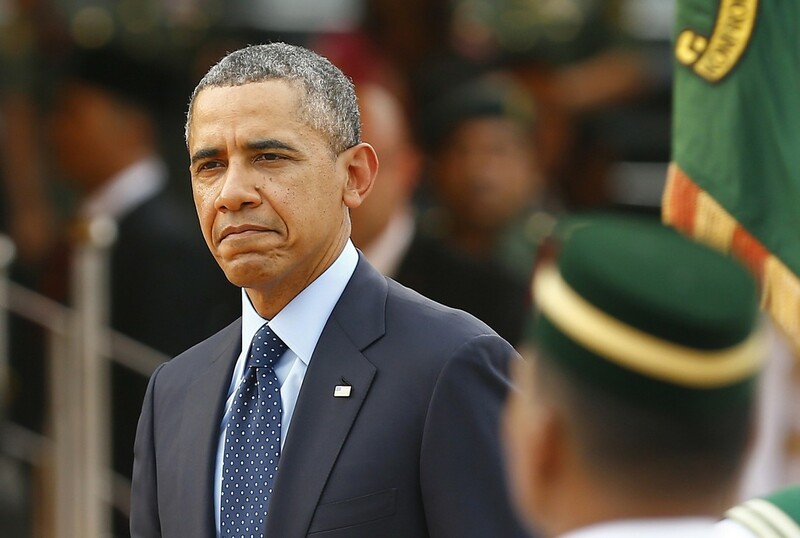 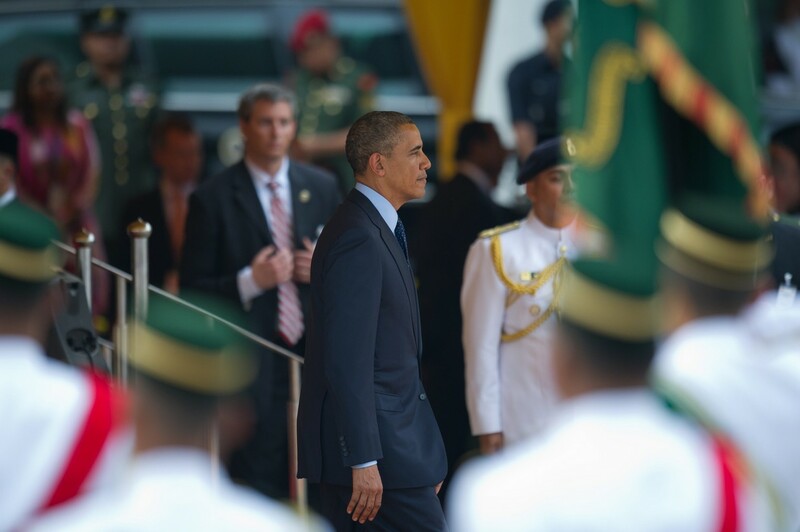 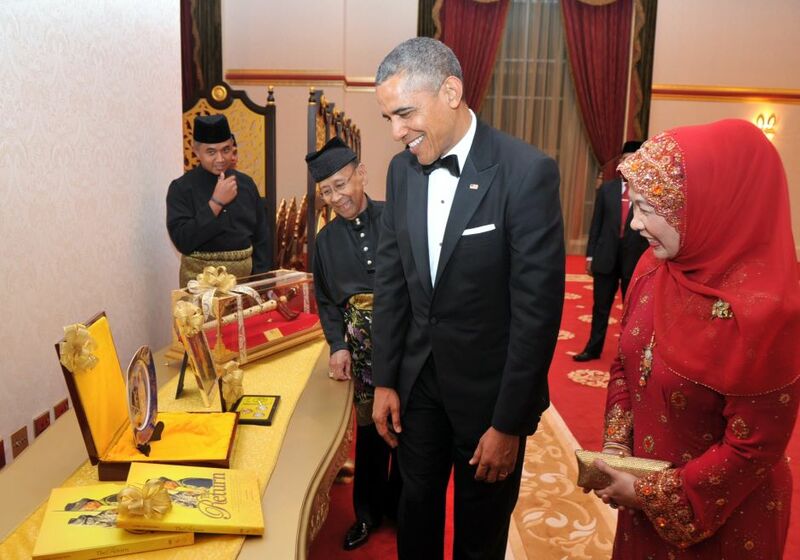 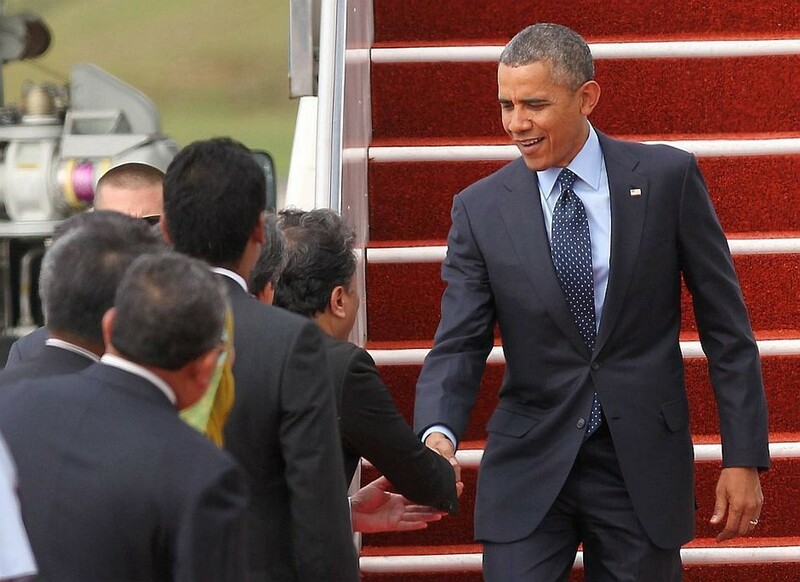 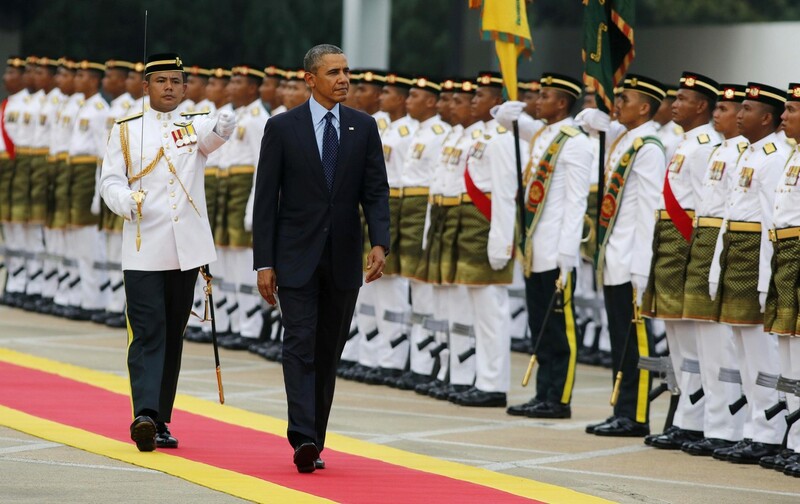 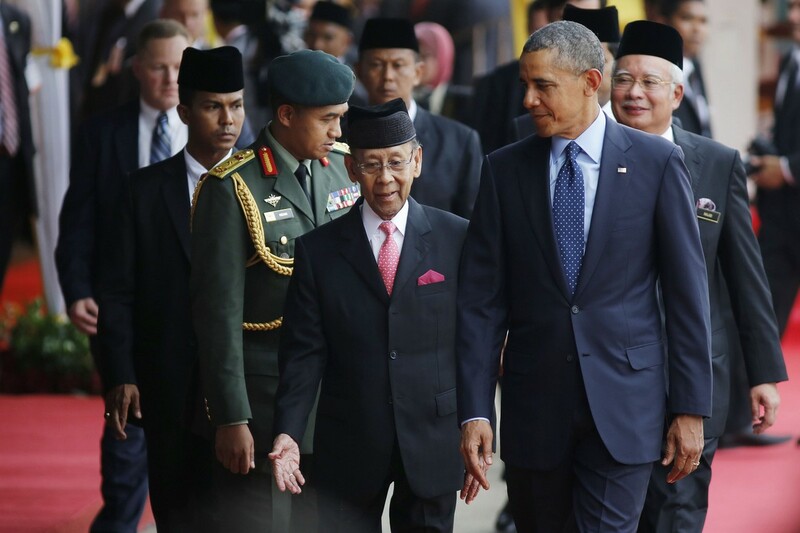 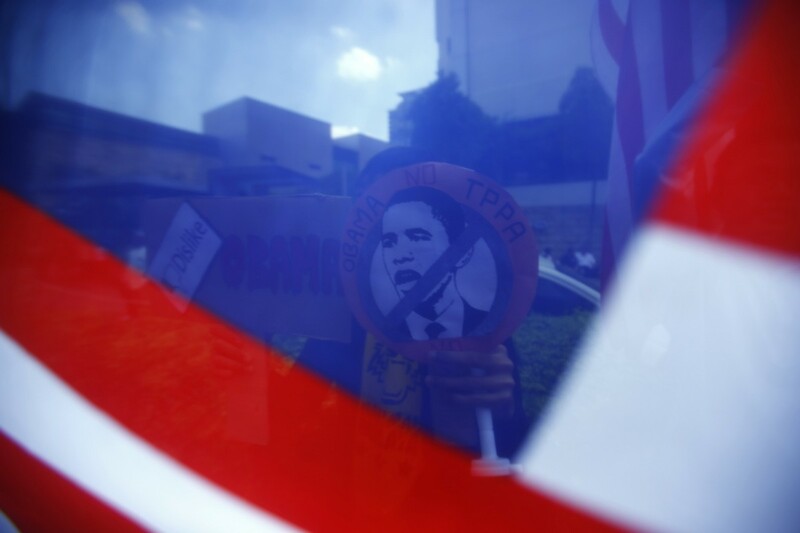 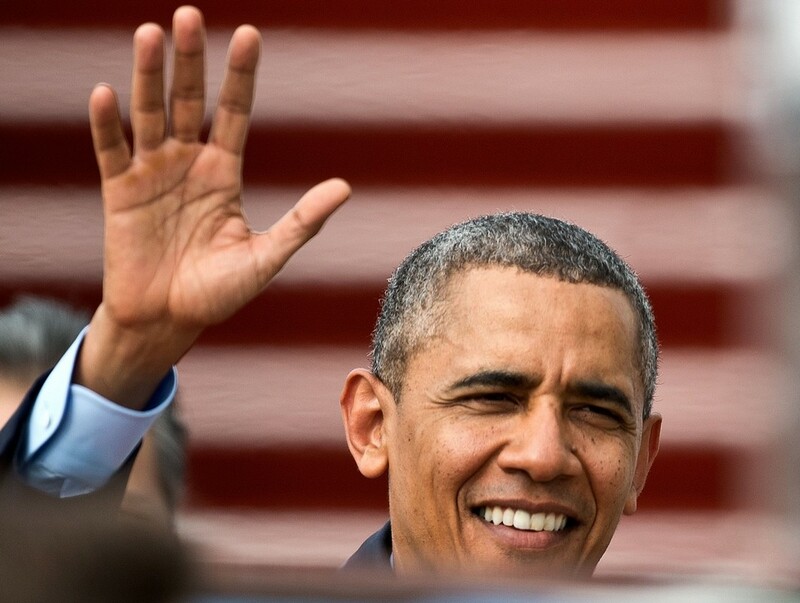 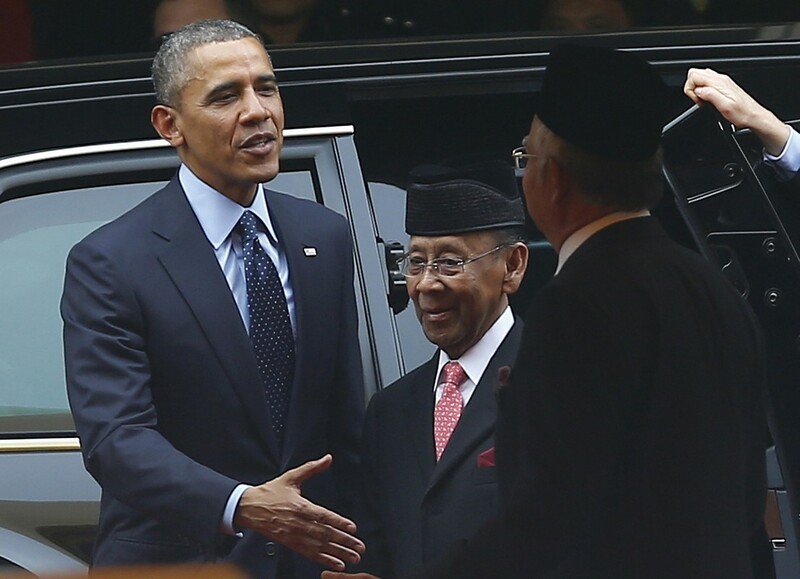 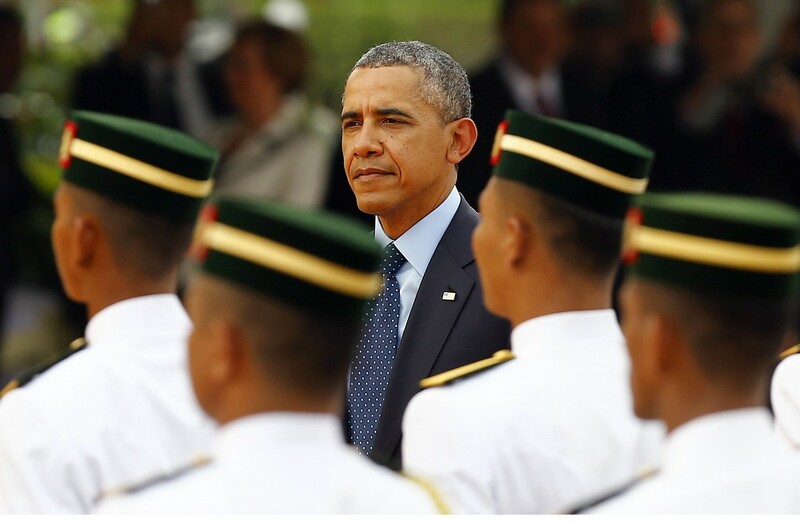 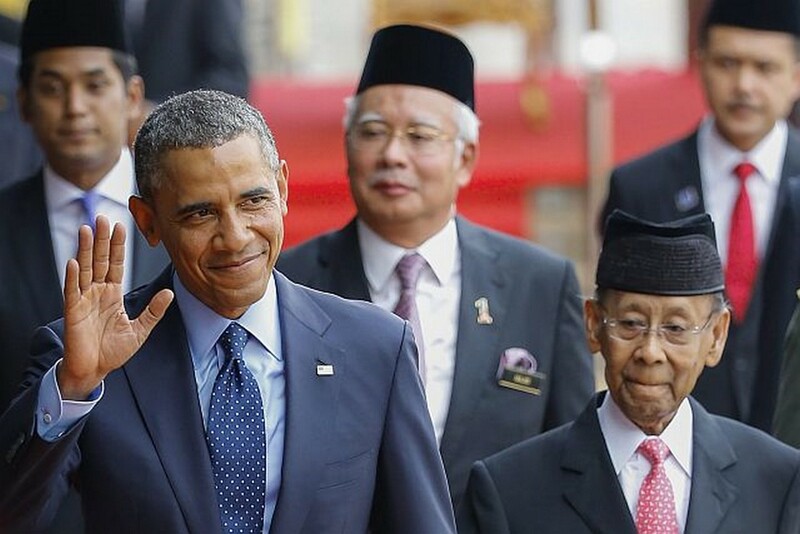 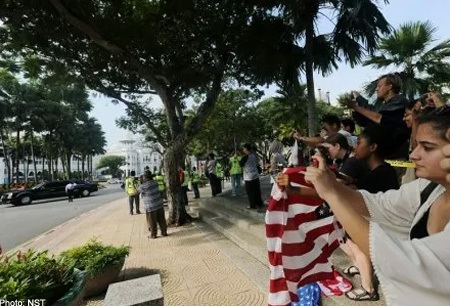 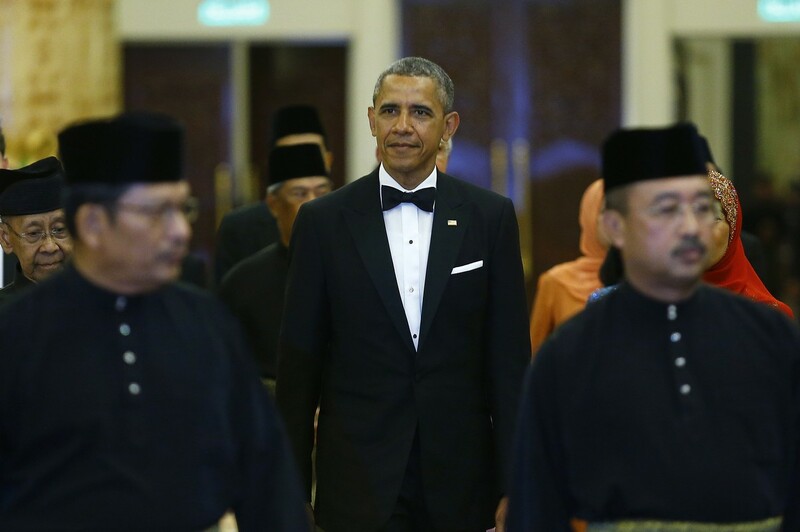 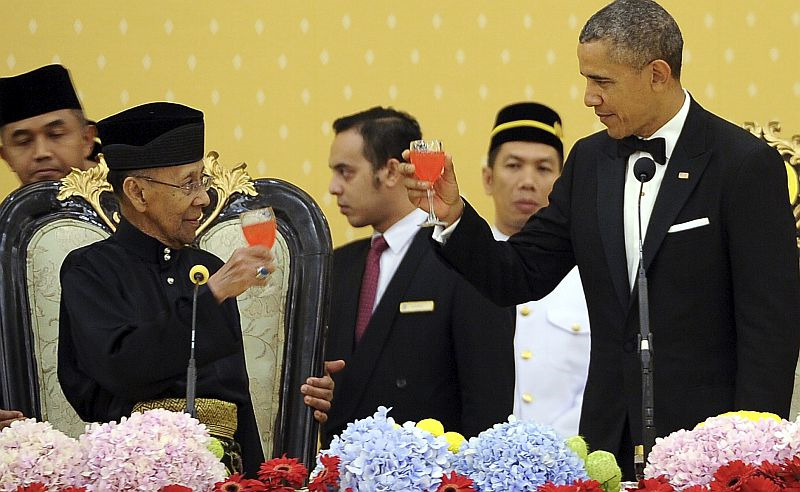 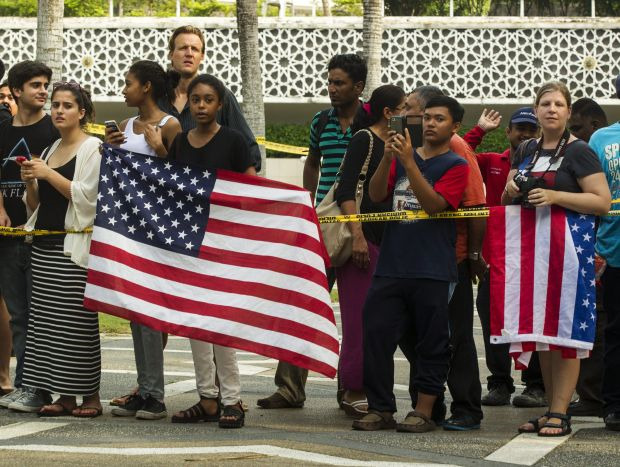 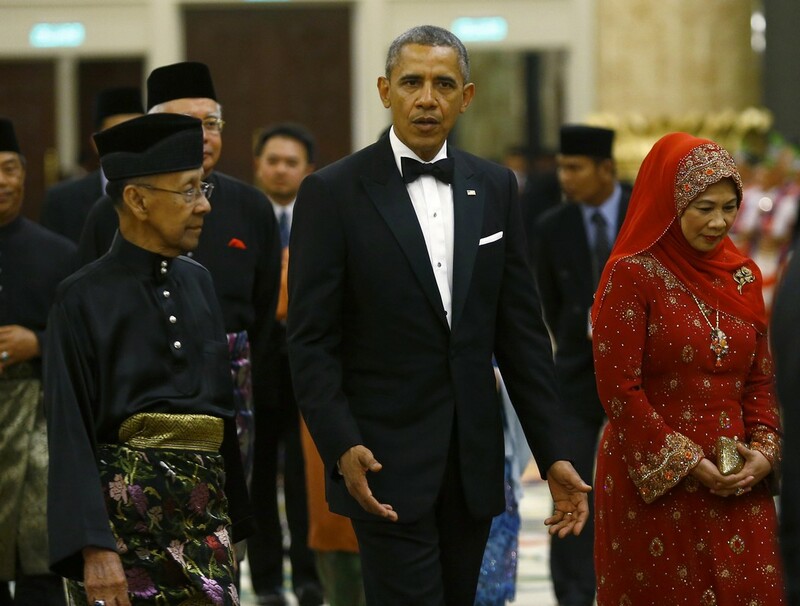 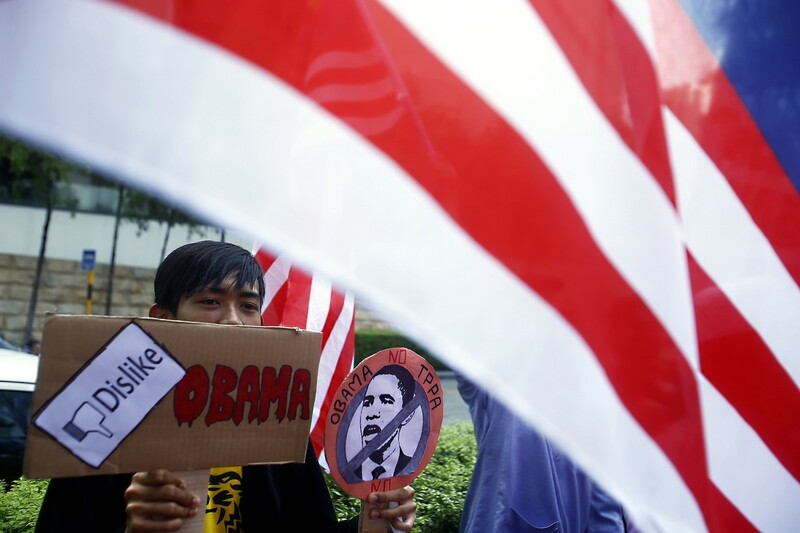 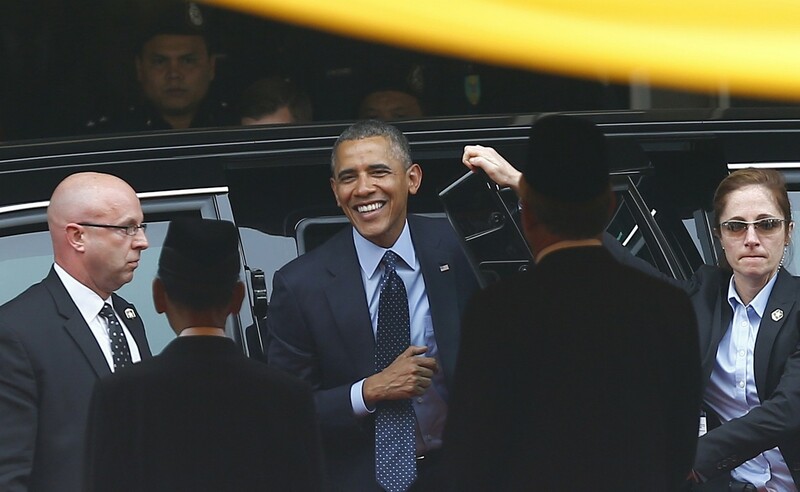 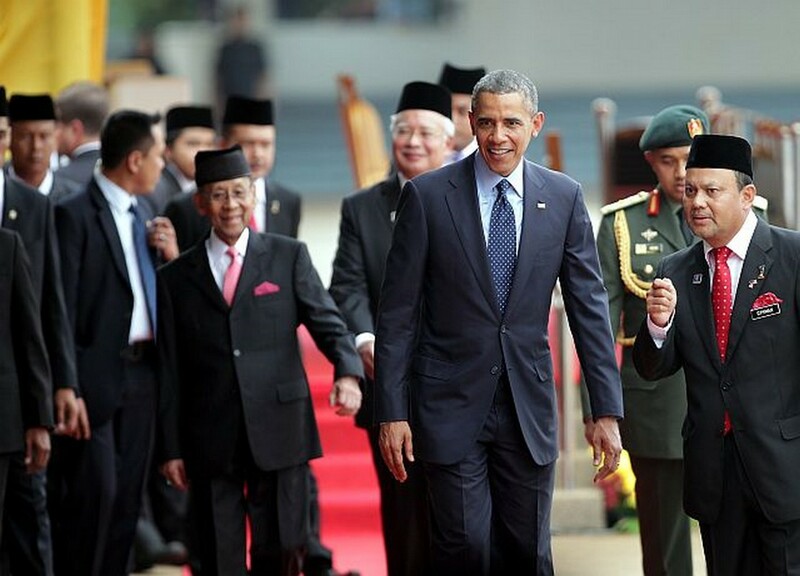 US President Barak Obama is set for a three-day visit to Malaysia from Saturday until Monday. 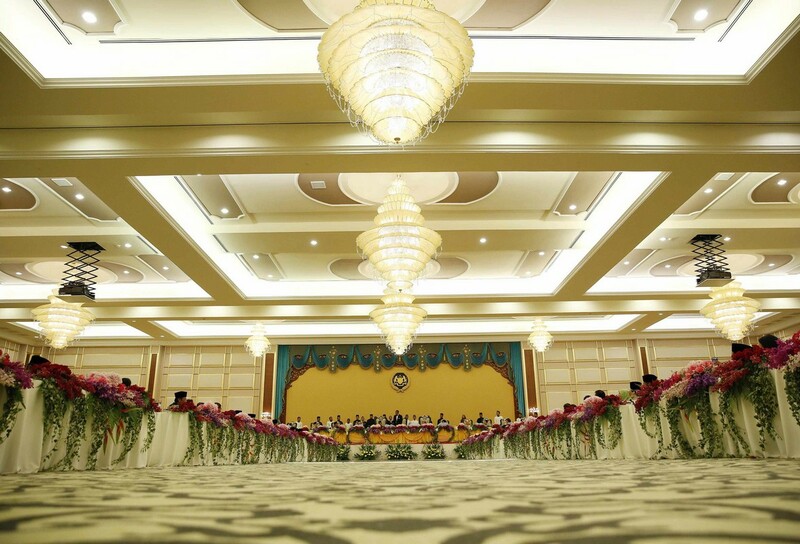 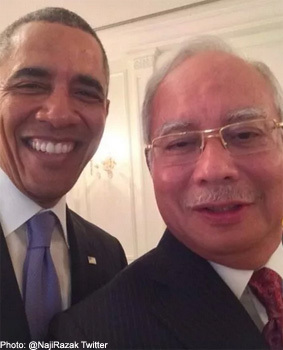 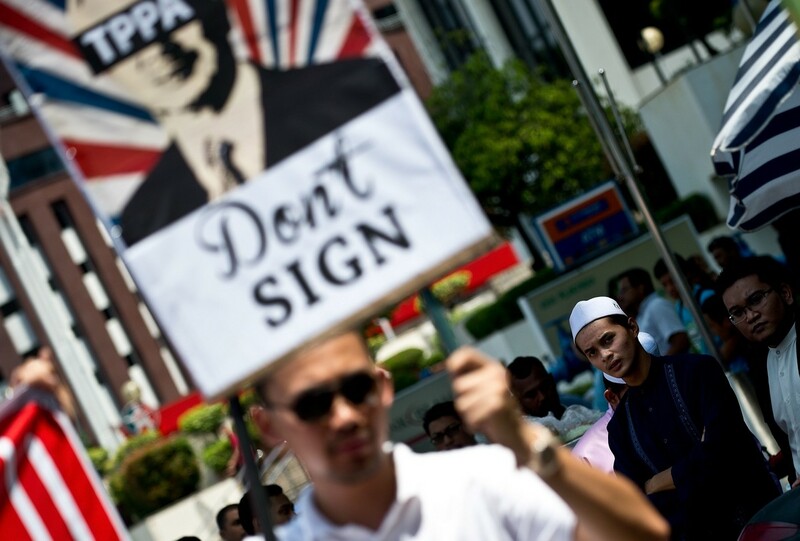 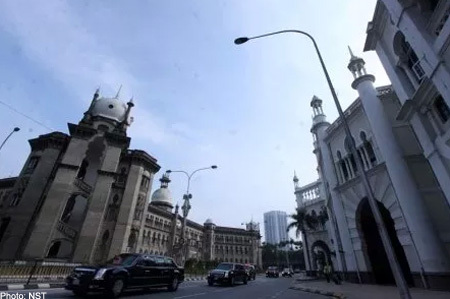 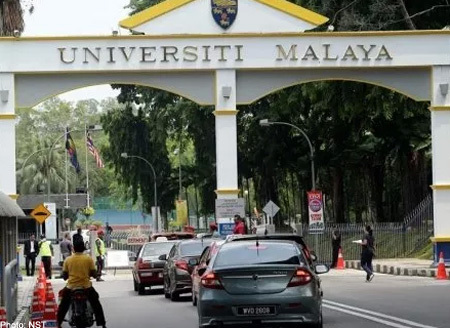 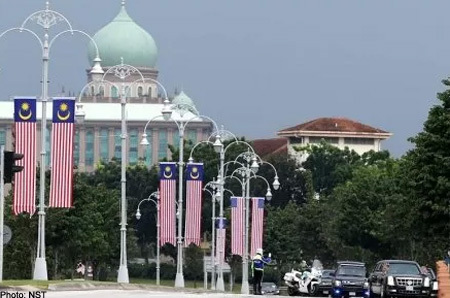 His initial historic trip to Malaysia in October 2013 was postponed due to the budget standoff which led to a partial US government shutdown. 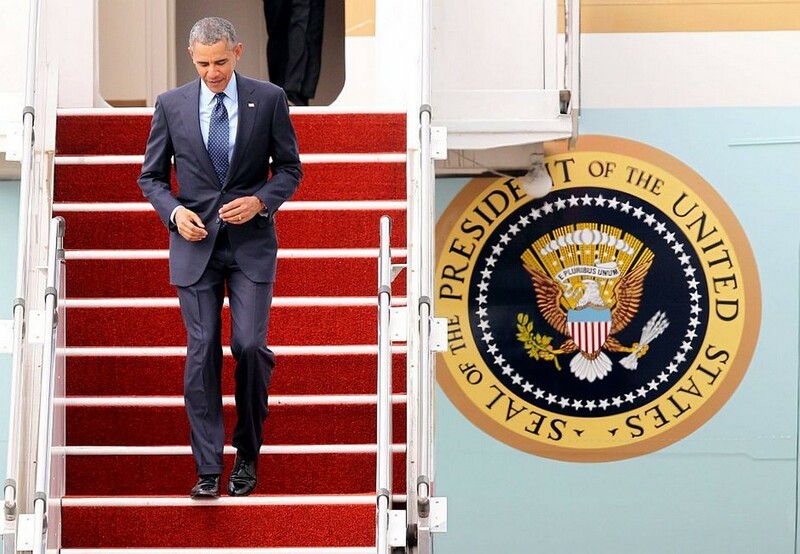 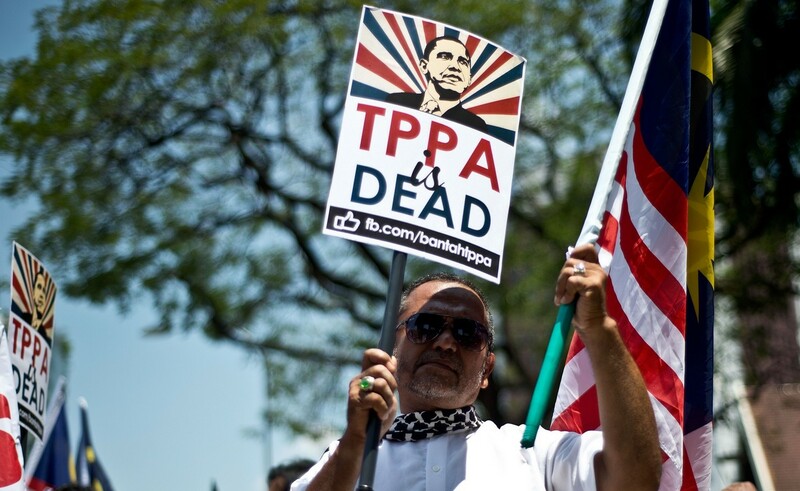 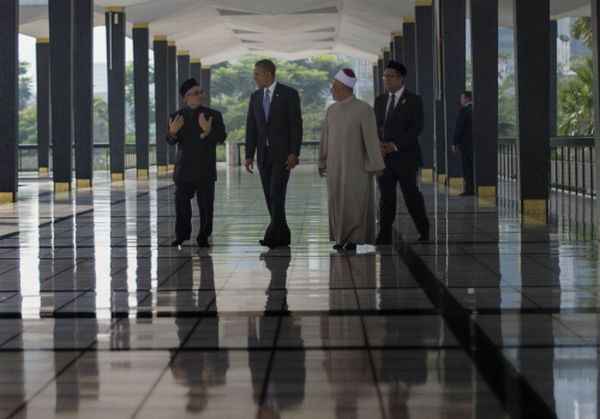 This time, with no stumbling blocks, the red carpet will be rolled out for Obama. 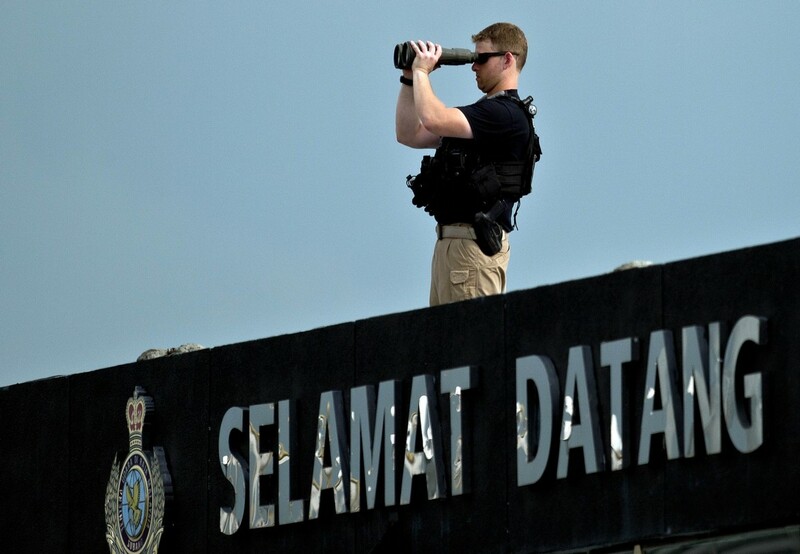 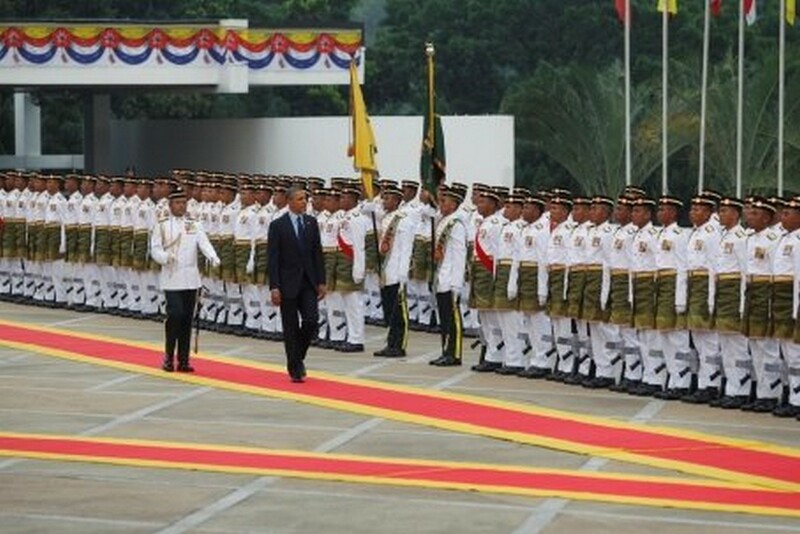 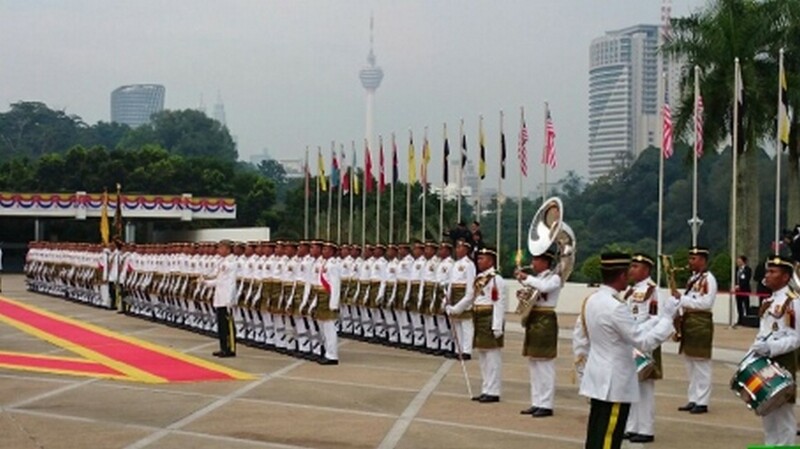 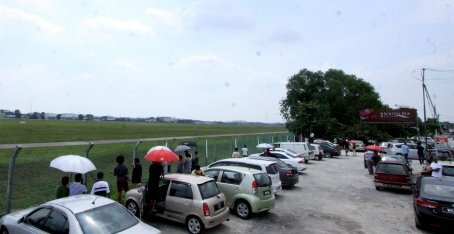 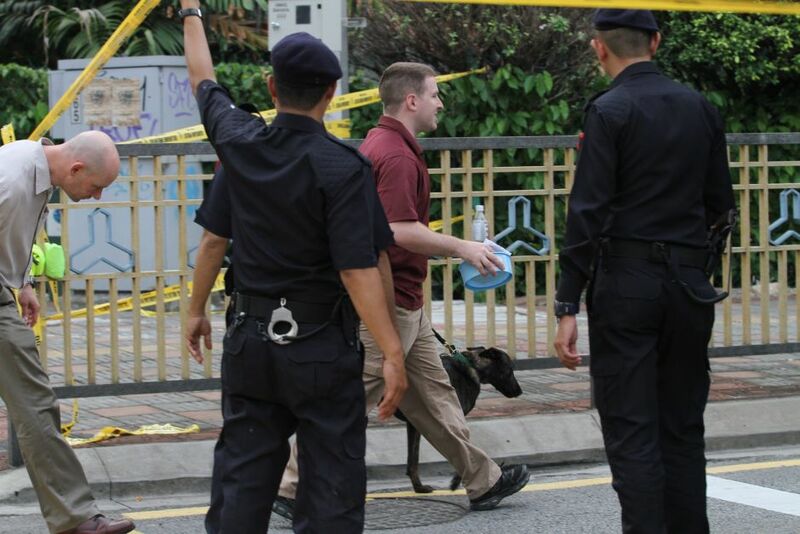 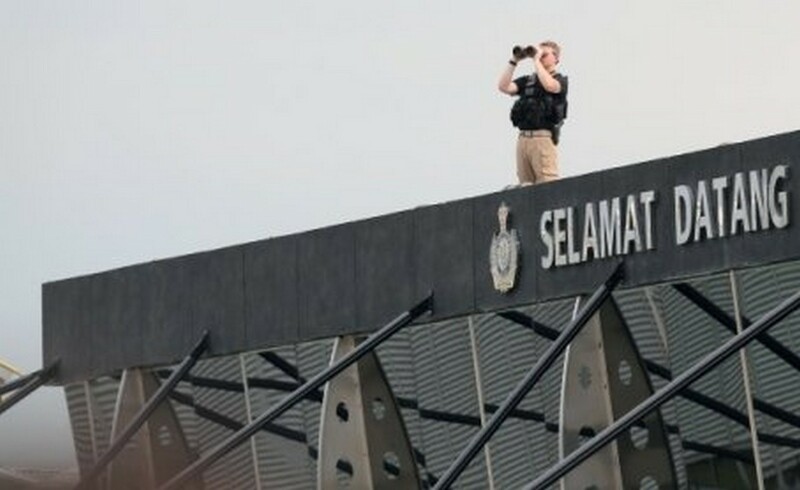 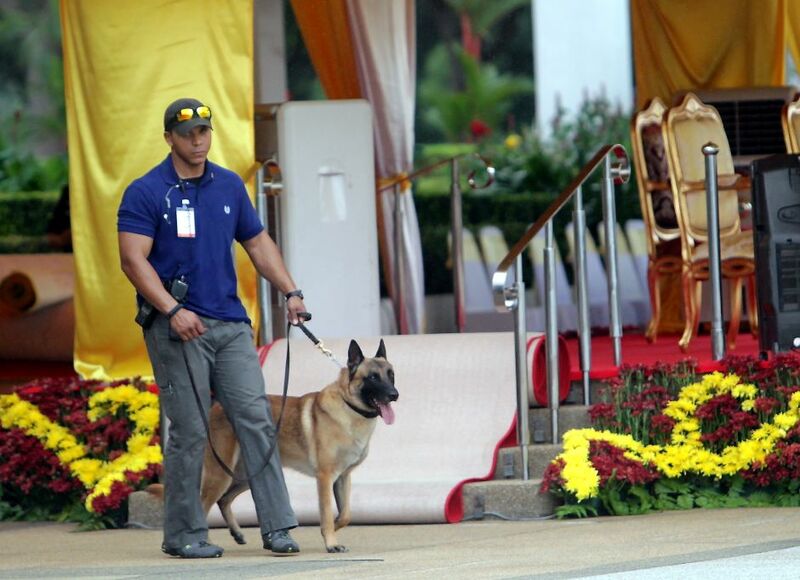 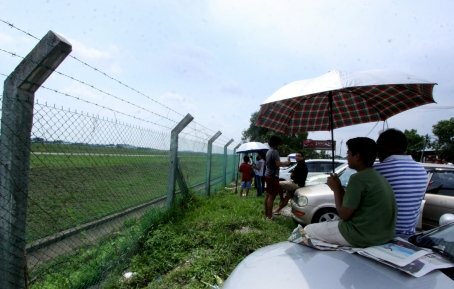 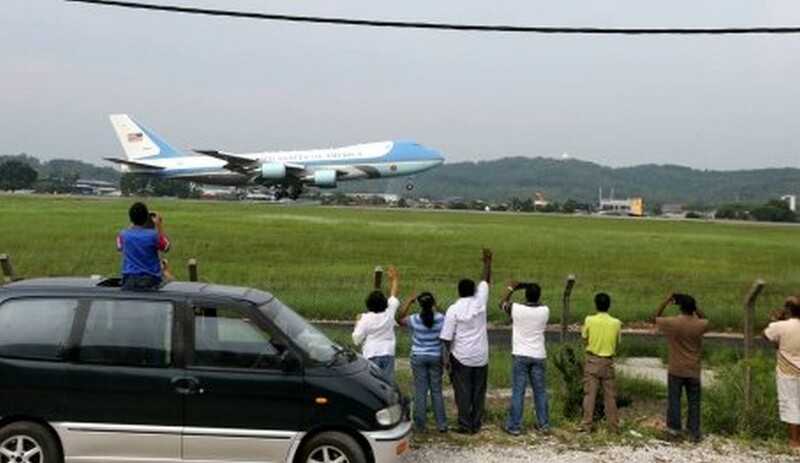 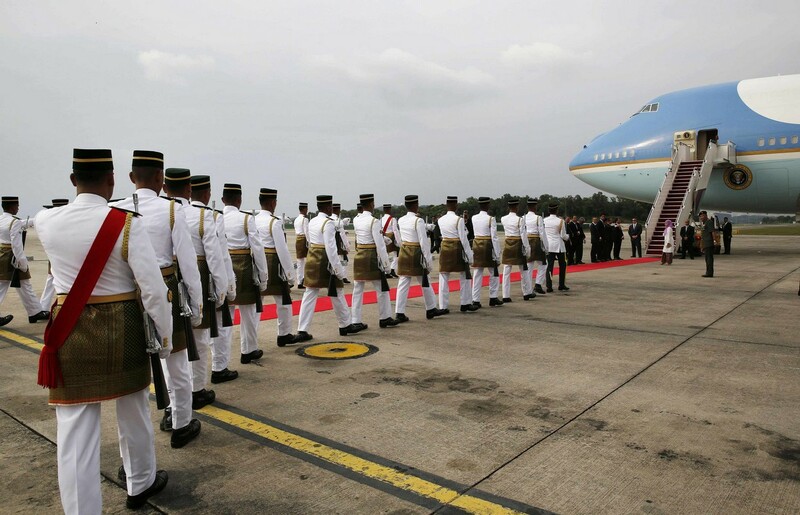 He will step out of Air Force One at the Royal Malaysian Air Force Base in Subang on Saturday afternoon. 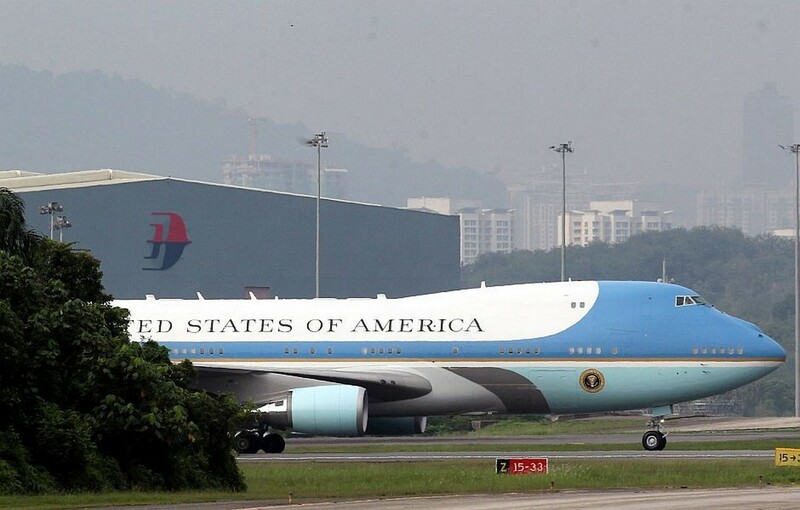 Air Force One is the call sign used to refer to one of two highly customised Boeing 747-200B used to transport the Presidents of the United States. 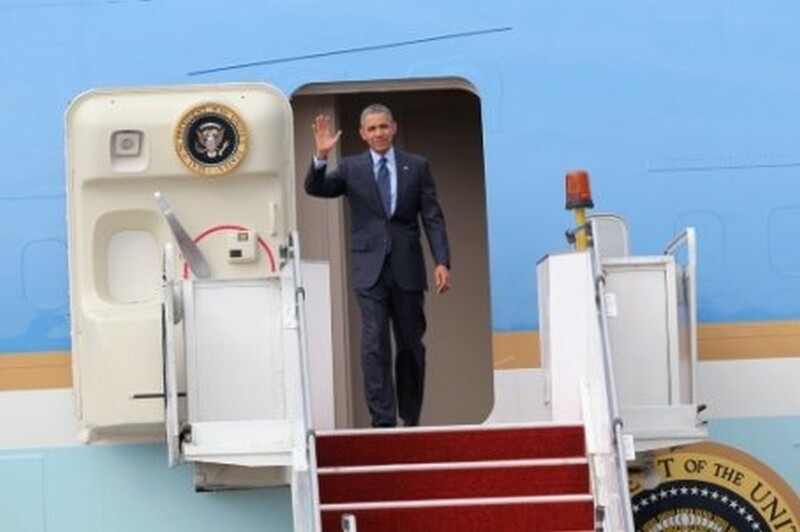 The President's suite and office are housed at the very front of the aircraft. 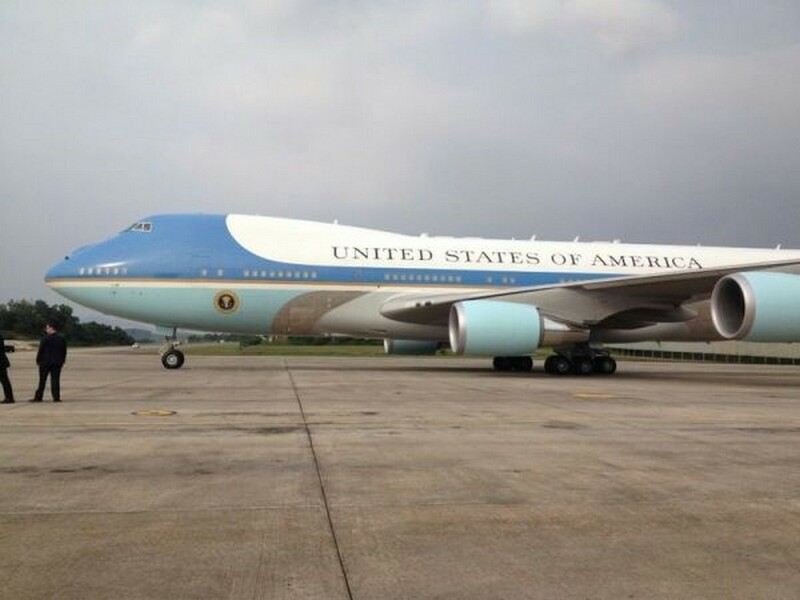 In the event of an emergency, Air Force One has a staff doctor and houses a medical suite that can function as an operating room at a moment's notice. 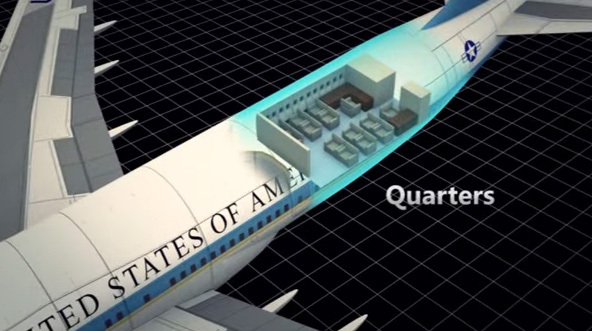 Air Force One also has quarters for those who accompany the President, including travelling press, who sit in the rear of the plane. 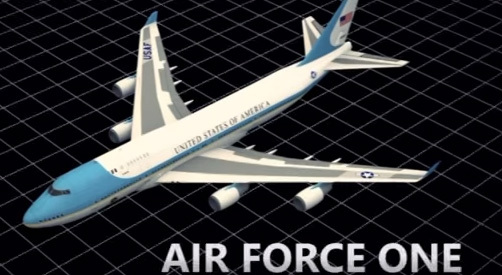 Thanks to its ability to refuel mid-air, Air Force One has effectively unlimited range and can stay up in the air indefinitely. 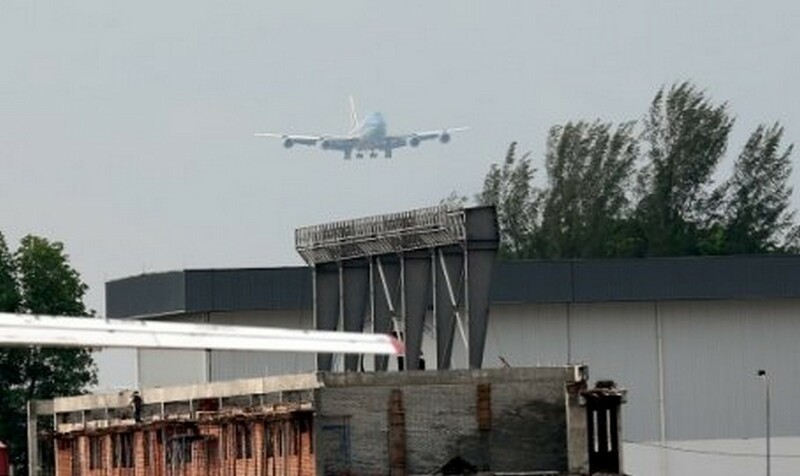 As part of its advance security systems, the jet is equipped with chaff and flare dispensers that allow it to evade enemy missiles. 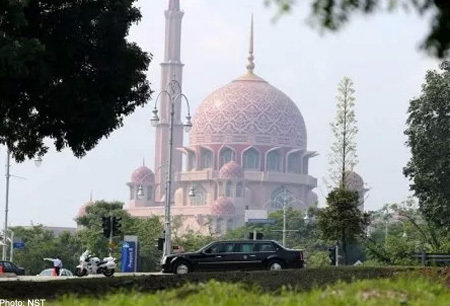 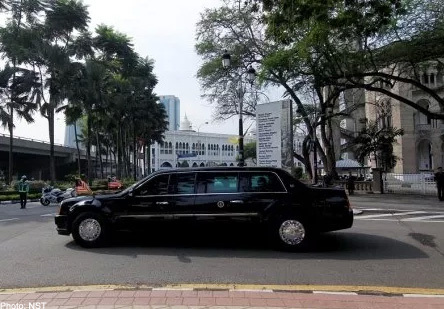 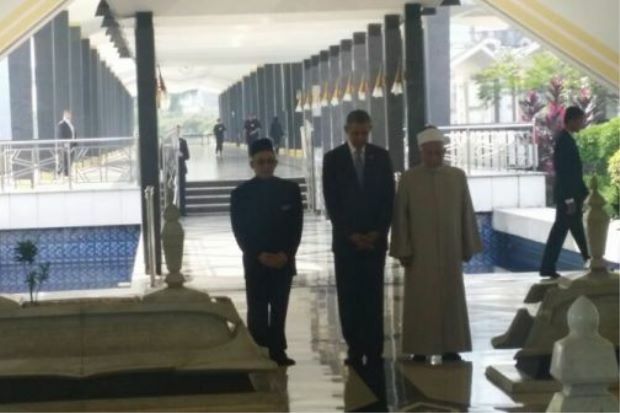 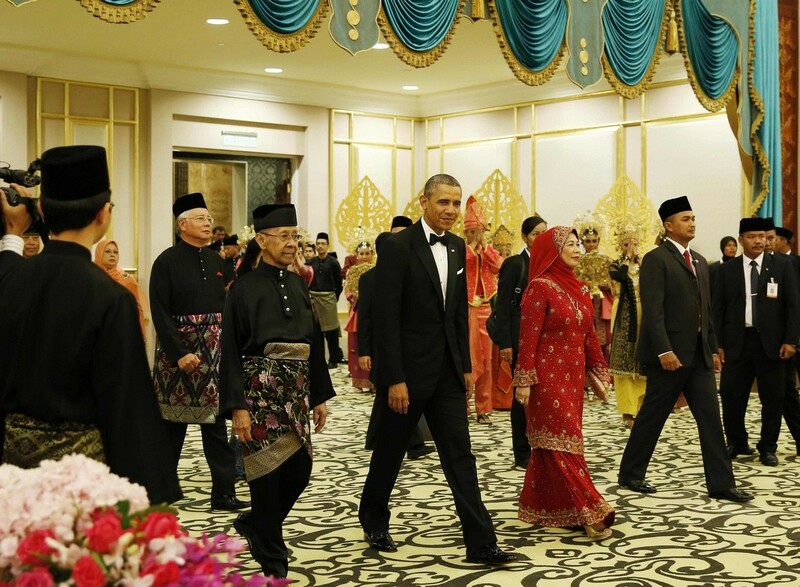 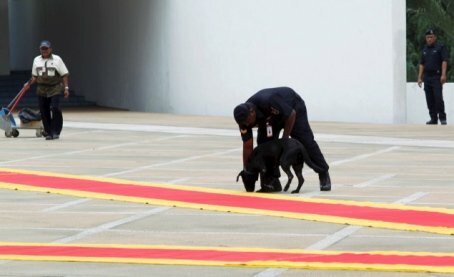 Once in Malaysia, President Obama will travel in the Presidential state car, also known as Cadillac One, or by the Secret Service as The Beast. 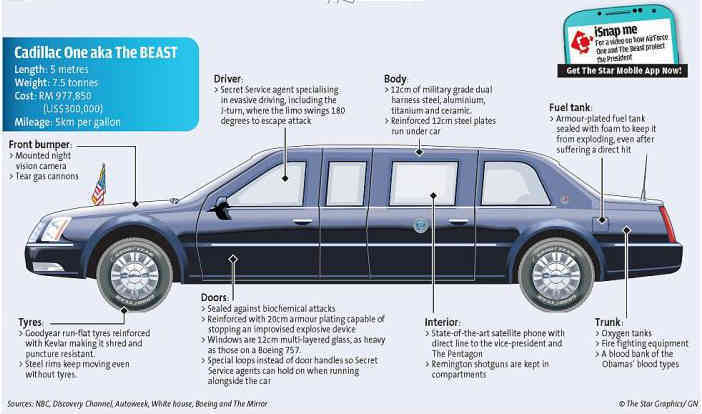 The Beast sits up to seven people, with two in the front, and three along with the President in the back. 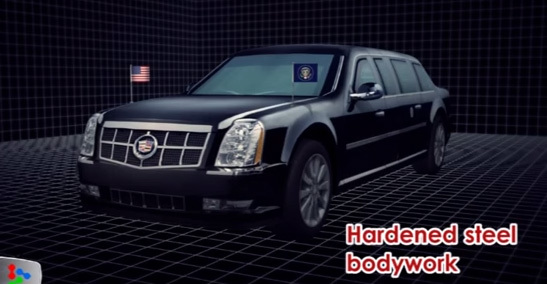 More tank than car, its body work is made from hardened steel, aluminium, titanium, and ceramics, with windows that can withstand armour-piercing bullets. 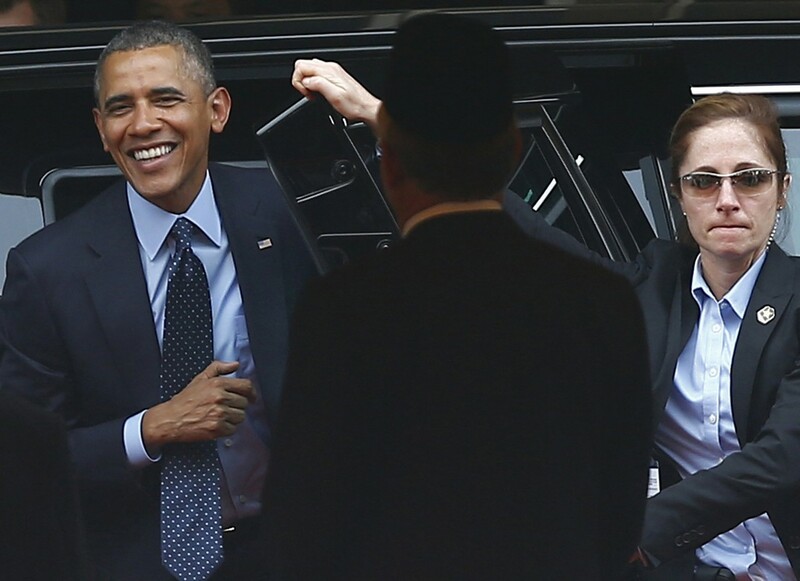 The interior is completely sealed to shield the President from Bio-Chemical attacks. 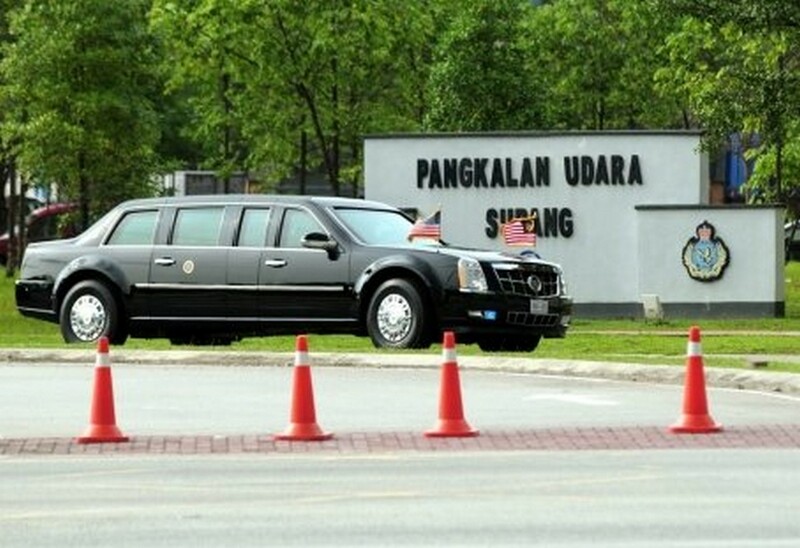 Its heavy, armour-plated doors are 20cm thick; a reinforced steel plate running beneath the vehicle protects it from roadside bombs. 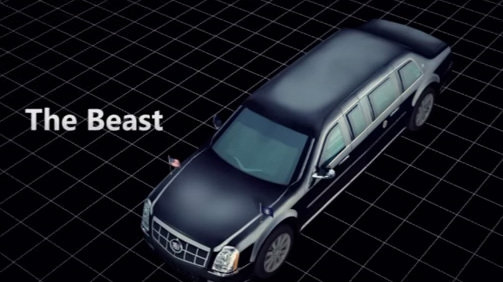 The presidential limousine has tear-gas cannons and a night-vision camera installed in front, as well as a pump-action shotgun. 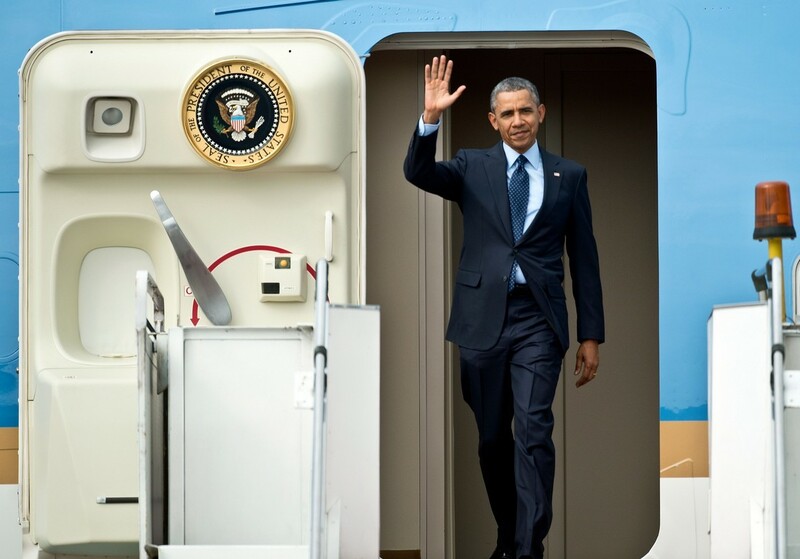 Extra weapons and oxygen supply, and bottles of the President's blood type are also onboard. 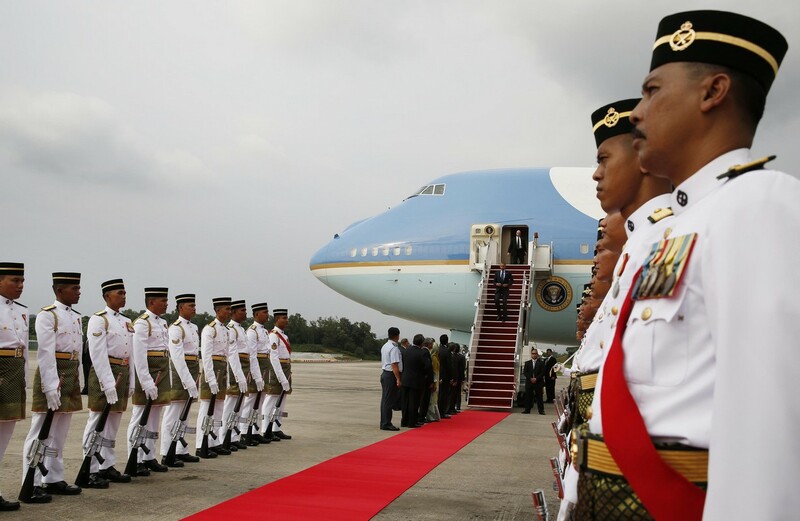 The fuel tank is armour-plated and encased in foam to prevent it from exploding. 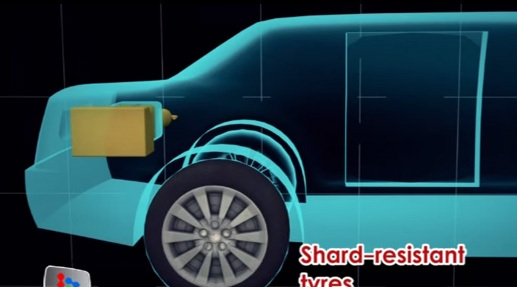 The tyres are puncture and shard-resistant with steel rims that allow the car to continue driving, even if the tyres are destroyed. 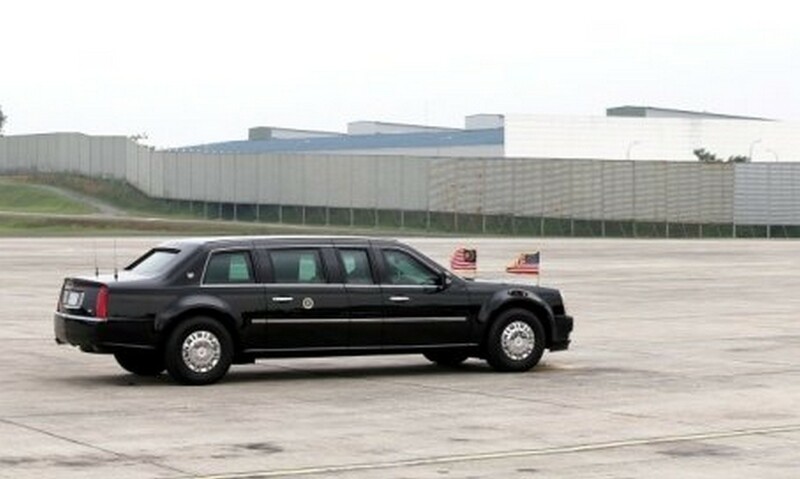 In the US, the presidential limousine displays the American flag and the Presidential Standard. 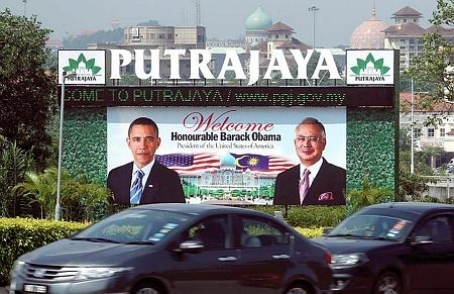 When in a foreign country, the Presidential Standard is replaced by that country's flag. 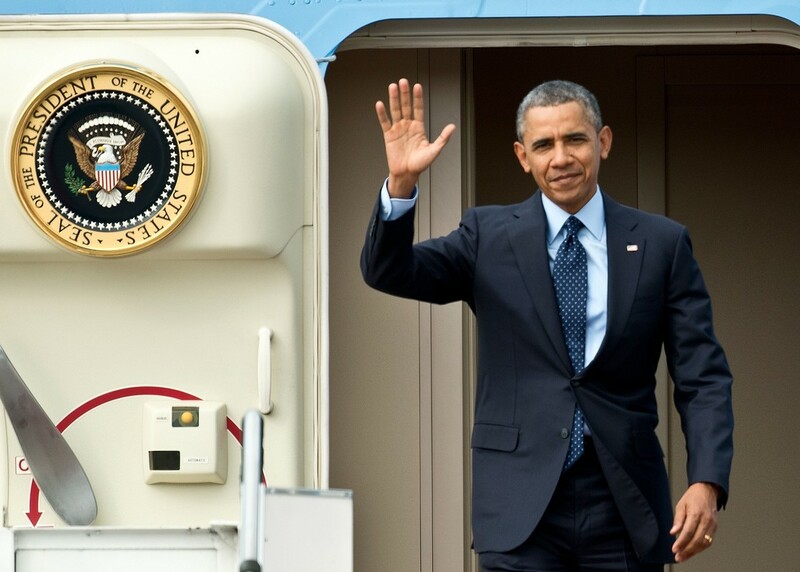 The President's suite and office are housed at the very front of the aircraft. 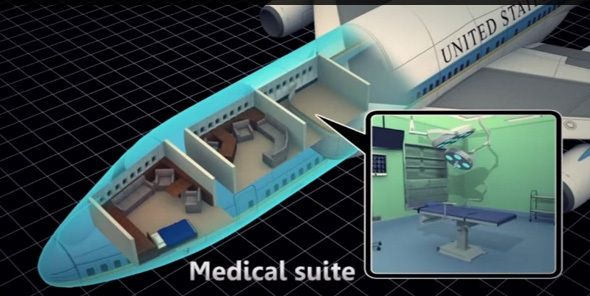 A medical suite with operating facilities on Air Force one. 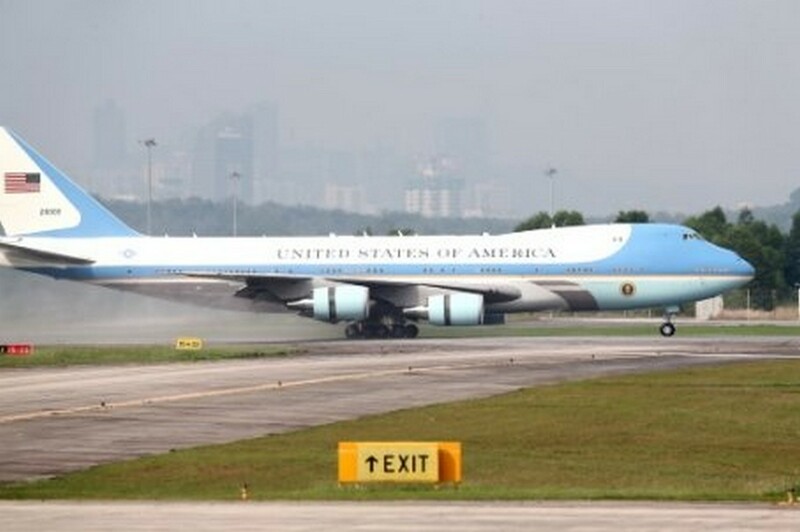 Thanks to its ability to refuel mid-air, Air Force One has effectively unlimited range and can stay up in the air indefinitely. 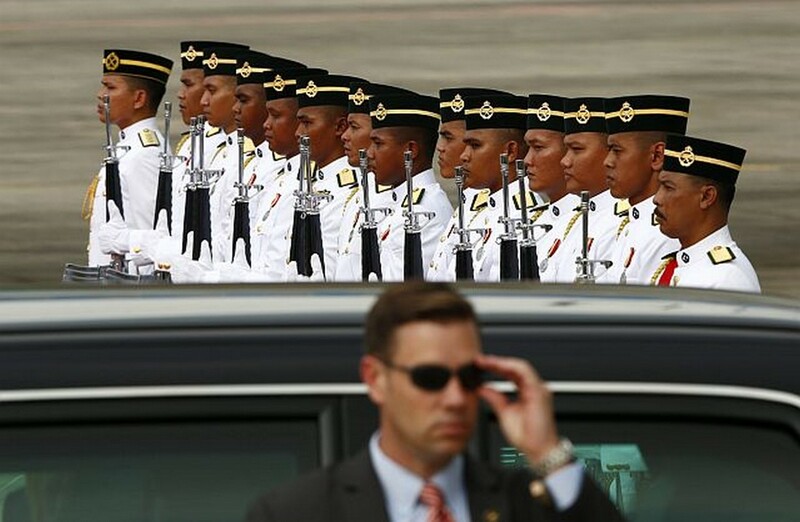 As part of its advance security systems, the jet is equipped with chaff and flare dispensers that allow it to evade enemy missiles. 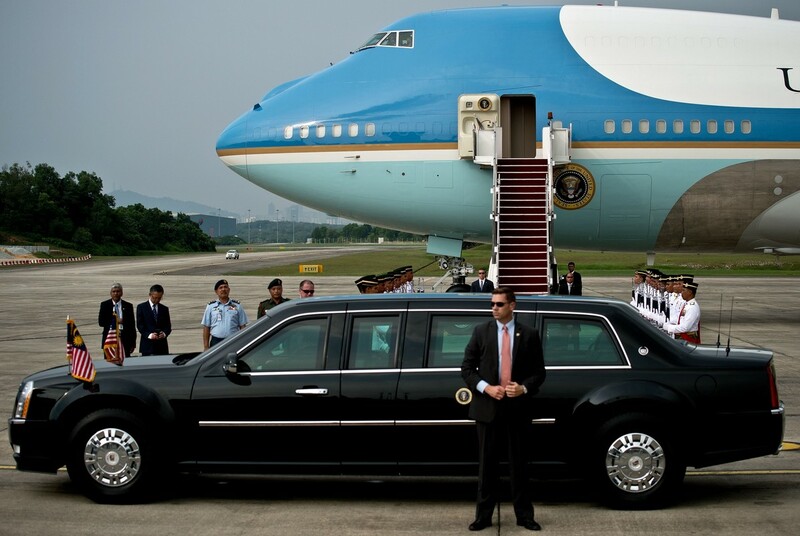 More tank than car, its body work is made from hardened steel, aluminium, titanium, and ceramics. 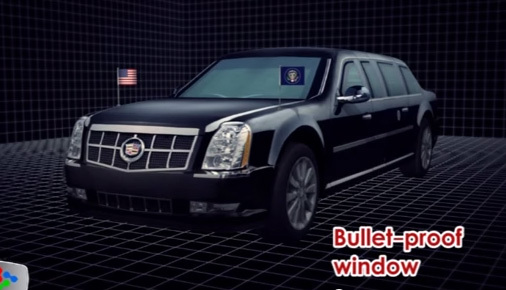 Windows that can withstand armour-piercing bullets. 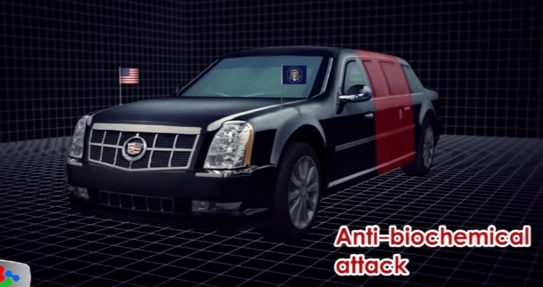 The interior is completely sealed to shield the President from Bio-Chemical attacks. 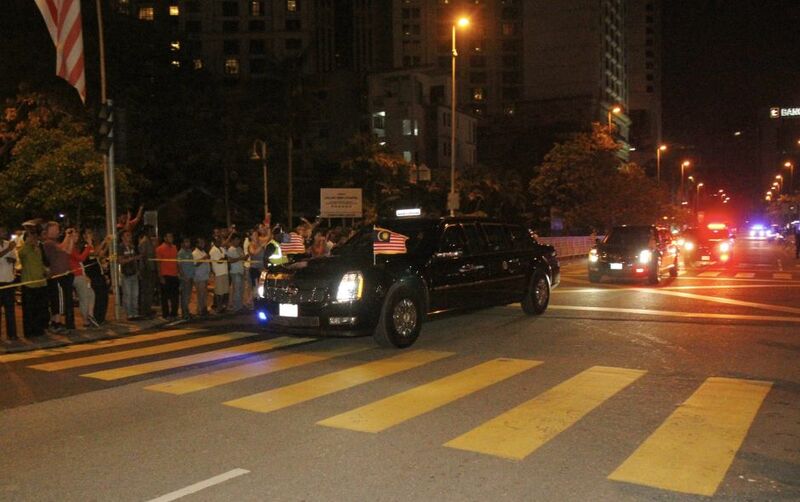 Its heavy, armour-plated doors are 20cm thick. 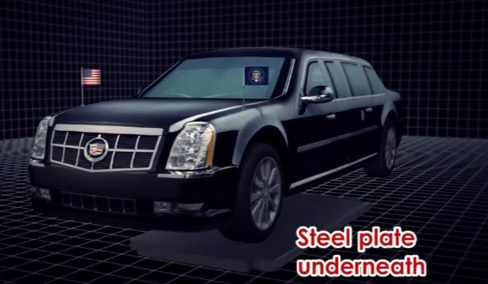 A reinforced steel plate running beneath the vehicle protects it from roadside bombs. 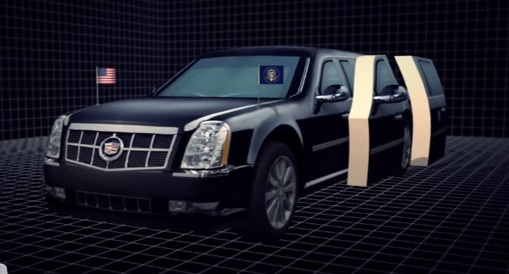 The presidential limousine has tear-gas cannons and a night-vision camera installed in front. 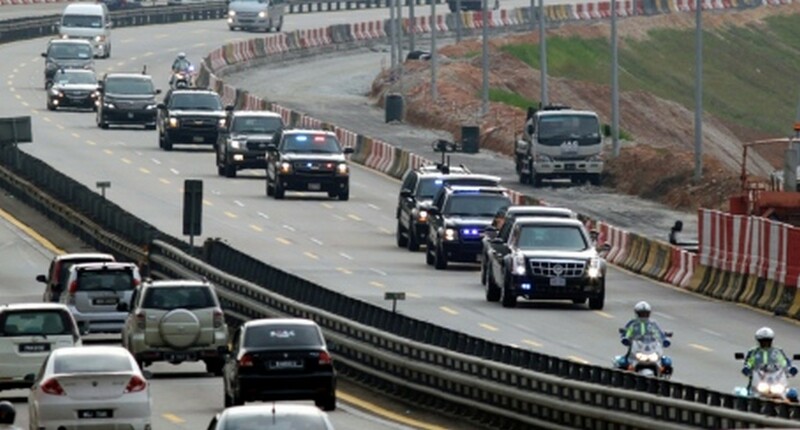 The Beast is also installed with a pump-action shotgun within the heavily fortified vehicle. 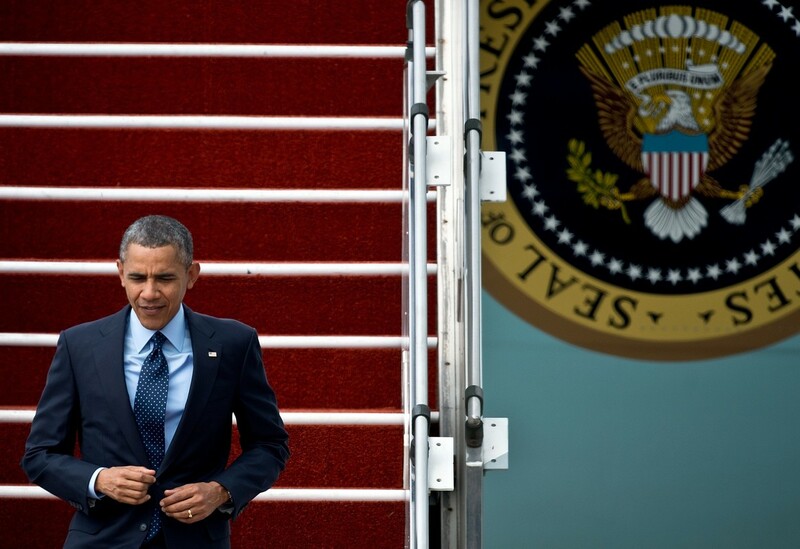 Extra weapons and oxygen supply, and bottles of the President's blood type are also onboard. 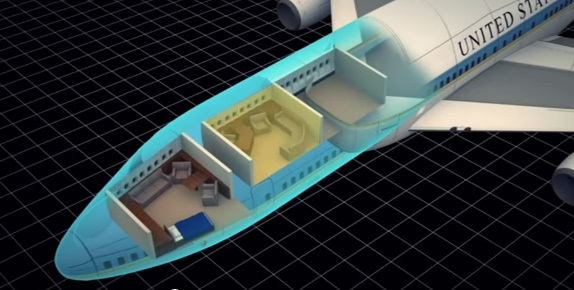 The fuel tank is armour-plated and encased in foam to prevent it from exploding. 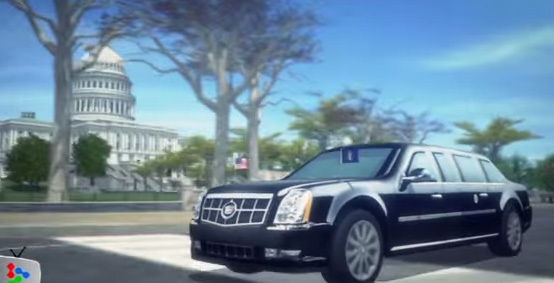 The tyres are puncture and shard-resistant. 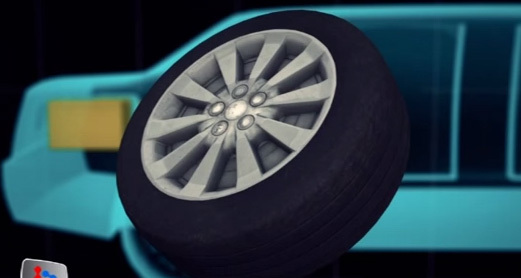 Steel rims allow the car to continue driving, even if the tyres are destroyed. 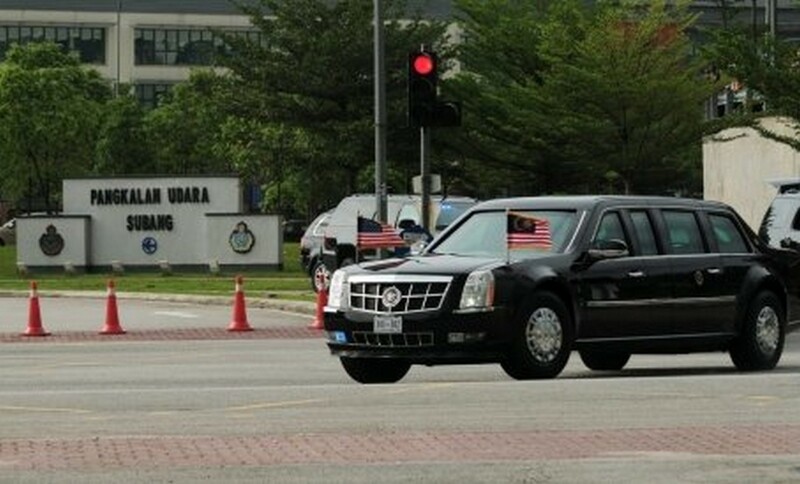 In the US, the presidential limousine displays the American flag and the Presidential Standard. 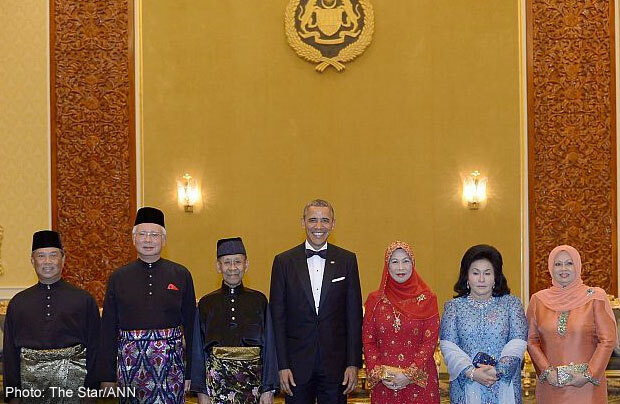 When in a foreign country, the Presidential Standard is replaced by that country's flag.